My Child Will Retire At 75? Not If I Can Help It! By Melissa 1 Comment - The content of this website often contains affiliate links and I may be compensated if you buy through those links (at no cost to you!). Learn more about how we make money. Last edited November 6, 2015 . 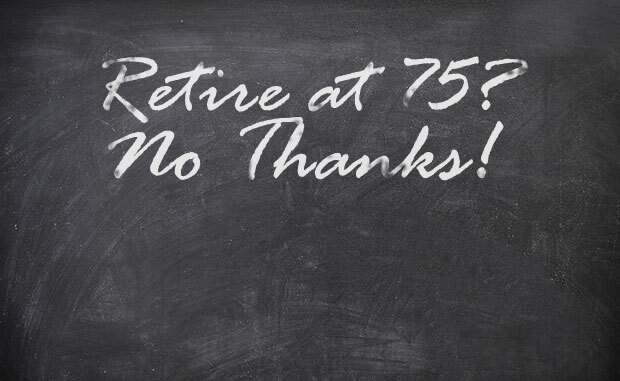 I recently saw a Money article that said today’s college graduates can expect to retire at 75! With a lifespan of 84, that gives them only nine years to enjoy retirement, if that. Of course, many people die long before 75 and have no time to enjoy retirement. While I want my children to work hard, I also want them to enjoy their lives. According to the article, high student loan debt is causing recent graduates to delay other life events like buying a house. Without the investment of a house and the equity and tax breaks it often brings, they are not able to retire as early. Simply put, recent college graduates are expected to spend so much more time servicing student loan debt that they can’t invest through home ownership until later in life. His allowance is not all his. He earns an allowance for doing a variety of chores around the house as well as doing his school work diligently. If he gets lazy and doesn’t do his chores (as sometimes happens), he doesn’t get money. When he does get paid, 10% goes to giving, 20% goes to investing, 10% goes to saving, and 60% is his to spend. We match his investments. My husband and I have not set up college funds for our children and will not likely be able to do so. Instead, with the help of our investment planner, we’ve set up a separate account earmarked for our son but still under our name. This is his college fund. Every few months, he takes the money from the 20% that goes to investing from his allowance, and we match the amount he invests. If he has $40, we match that, and he invests $80. Because of this incentive, he wants to put more money in the account. He’s put birthday money in there, and one time $20 he found in a parking lot. Rather than spend it, he put it in his invest account, and we matched it. We talk about retirement savings. My son and I have had numerous discussions about the power of compounding interest and the benefit of starting a Roth IRA when he gets his first job. He is planning to invest in one during his teen years. We discuss college. . .a lot! It’s never too early to discuss college. My son knows that my husband and I want him to go to college, and he wants to, too. He knows about the importance of picking a major that will lead to a decent income. He knows the dangers of student loans. Because we’ve talked about this so early and because my son is self-driven, he’s already checked out books from the library about scholarships and colleges. He has found scholarships that 7th and 8th graders can apply for, and he plans to do so. He also knows that since my husband works at a university, he can go to any of the three state colleges here and just pay 25% of state tuition costs. Obviously, we’re encouraging him to do this in addition to finding scholarships. We teach him how to stretch his money. It’s never too early to learn how to make your money stretch further. I’ve watched my son take a book or two from the freebie table at a homeschool curriculum swap to set aside as Christmas presents to give to his little sisters. He coupons for groceries, and scans the ads for the best deals. We don’t buy him everything he wants. While we happily cover his needs, we don’t buy most of his wants. If he really wants something, he knows that he has to save his money and buy it himself. I know my son is only in 6th grade and things might change once he is a teenager or young adult. However, he’ll always have the basic foundation we’re giving him to fall back on. My hope is that by educating him early, he won’t have to retire at 75. Maybe he could even retire early! How do you teach your children about money and life expenses to give them the best start financially? Online Retirement Calculators: More Harm Than Help? Teaching your children how to be financially independent in their 20s will go a long way toward helping you preserve your own retirement. Last Edited: 6th November 2015 The content of biblemoneymatters.com is for general information purposes only and does not constitute professional advice. Visitors to biblemoneymatters.com should not act upon the content or information without first seeking appropriate professional advice. In accordance with the latest FTC guidelines, we declare that we have a financial relationship with every company mentioned on this site. I love the idea of having a separate goal of investing. 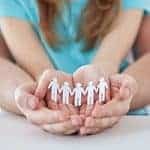 We simply require them to spend, save, and give, but I like the idea of them also beginning some non-college investing. It’s unbelievable that so many studies are coming out now showing the problems with student loan debt, but so many young people are still making the choice to go so deeply into debt. It’s a big bummer! Next Post: Can You Make Side Income Playing Daily Fantasy Sports (DFS)?